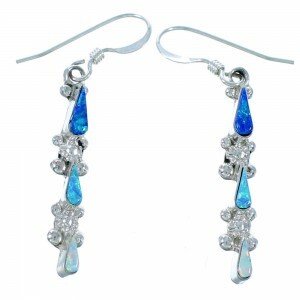 If you are looking for a magnificent set of stunning tear drop earrings, you've come to the right place. 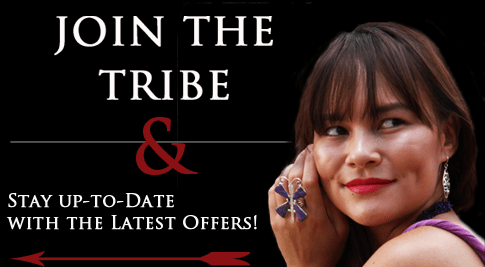 SilverTribe offers a great selection of Native American tear drop earrings in a huge variety of colors and designs. 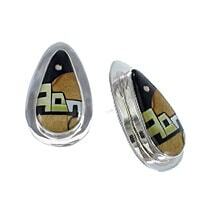 The tear drop design was one of the earliest examples of silver American Indian jewelry. 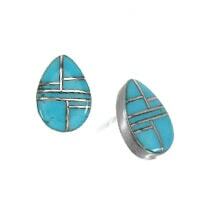 It is believed this particular design was made famous by the Navajo tribe, which was the first in the Southwest to start producing silver jewelry. The simple elegant beauty is based largely on the stone centerpiece used. 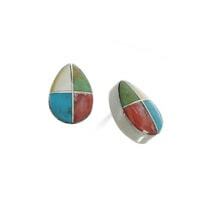 Our collection includes a wide variety of stones from the Four Corner region and far beyond. We strive to bring our customers the finest selections of stones available. 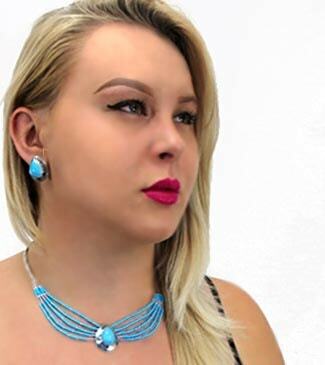 Throughout history, cultures from all over the world have held certain stones in high regard, believing each could grant the wearer special mystical and spiritual powers. Some cultures believe wearing certain stones will improve meditation and bring the wearer closer to the spirits that surround them. 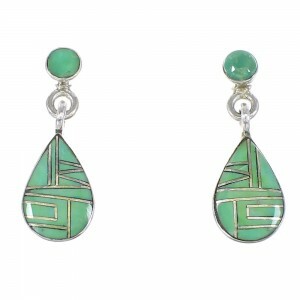 Other tear drop earrings are believed to grant good fortune and protect the wearer from negativity. 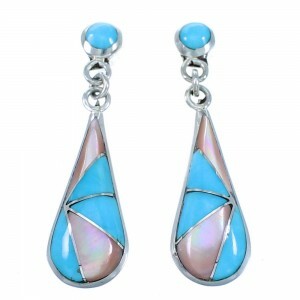 Some of our tear drop earrings don't feature stones at all, but shells. 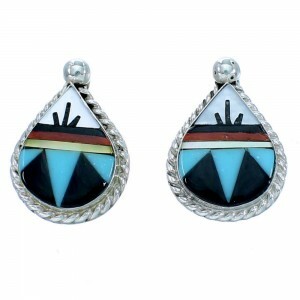 This organic material has been an important part of Native American jewelry for hundreds of years. When shells are expertly carved and polished, the result is truly dazzling. 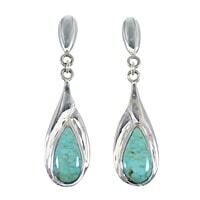 SilverTribe also carries multi-stone varieties that highlight the intricate craftsmanship involved with meticulously cutting and placing stones in a silver tear drop. 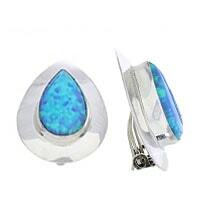 We strive to be your destination for tear drop earrings and our selection and variety is unmatched in the industry. 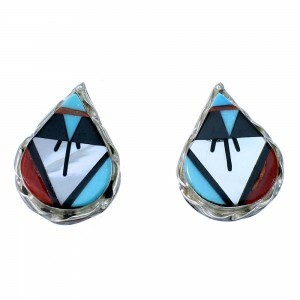 You'll always find the best prices on the widest selection of tear drop earring designs available today. Our focus is always on quality and longevity. We want you to enjoy your purchase for years to come. 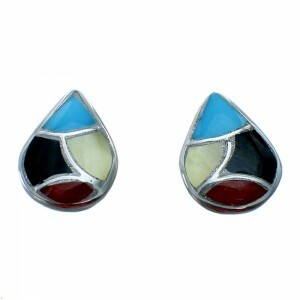 Our gemstone earrings will suit any taste and look great during any occasion. 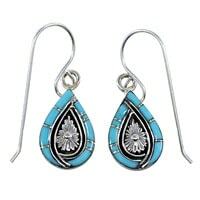 Whether you are going out for a formal affair or meeting up with friends for a casual night out, we can provide the perfect tear drop earring. 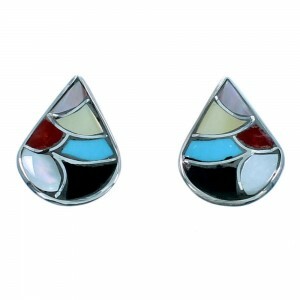 Even if you don't have pierced ears, our clip-on tear drop earring designs feature the same beautiful and colorful stones to ensure you will always be able to find the right addition to your collection. Your search for the highest quality products ends here. 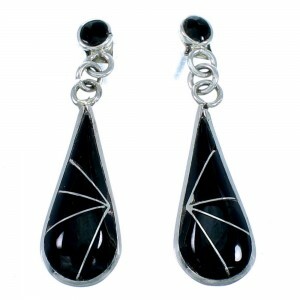 We will always provide the best prices on the most sought after tear drop earrings. You can count on top quality customer service and prompt, free shipping. At SilverTribe, we provide the best customer service in the industry to ensure you are always happy with your selection. Shop with us today and experience the most beautiful products combined with amazing prices and unmatched customer service.